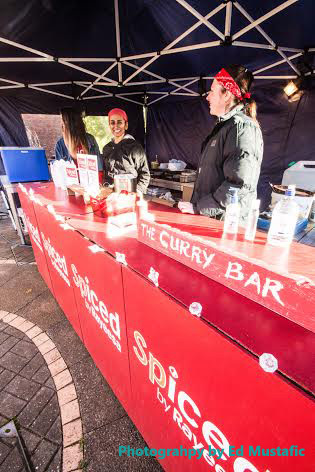 Hereford City Centric Retail & Culture Blog – Page 26 – Hereford City Centre from a contemporary consumer's narrative featuring the local Gastronome, Shopping and Entertainment culture. 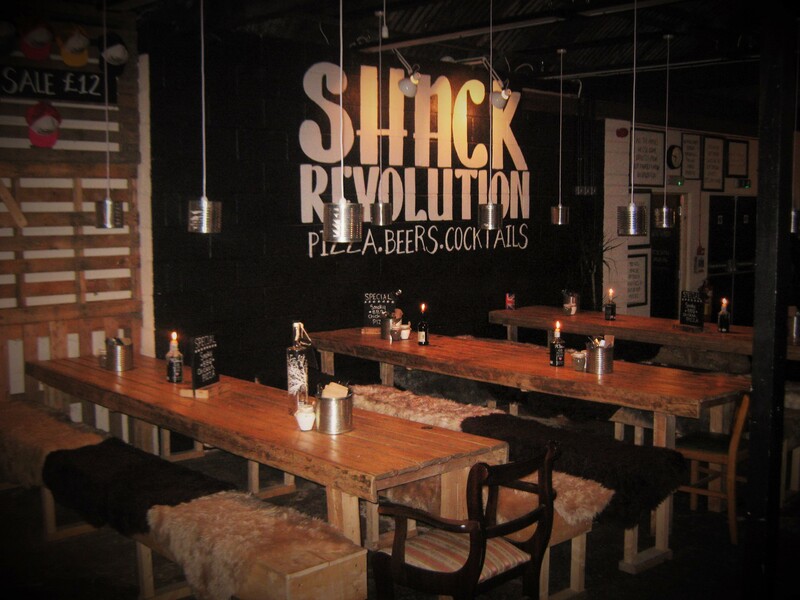 A favorite location where local Herefordians love to relax and socialize with the beautiful River Wye as the backdrop. 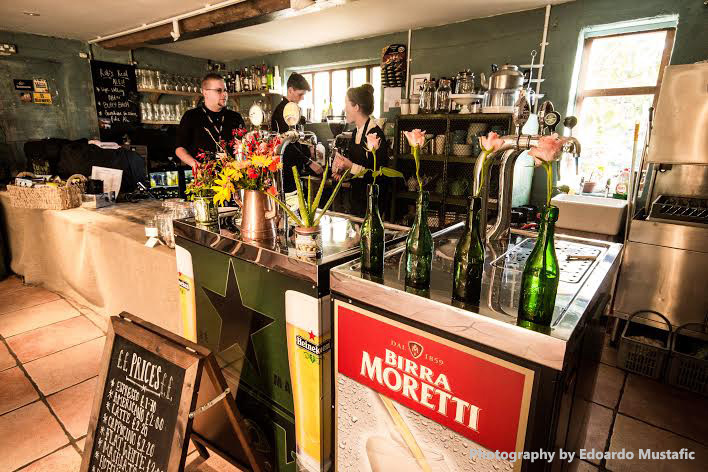 Quality and warm service at De Koffie Pot on the River Wye. There seems to be a renaissance happening in the river quarter located in Hereford’s city centre, which I recently discovered one very chilled and somber morning wandering the streets of Hereford with a mind full of thoughts. Walking along Bridge Street, I paused at the Wye Bridge to greedily soak in the River Wye’s commanding presence in my usual manner. This year’s mild autumn had spoiled me rendering my body sensitive to the cooler weather, so upon noticing from the corner of my eye, the converted coach house now known as De Koffe Pot alongside the magnificent Left Bank Event and Wedding Venue, I instantly was drawn in that direction hoping for the comfort of a hot cup of coffee in a beautiful setting. The City of Hereford’s prime piece of waterfront real estate consists of the newly revived Left Bank, which is also home to the Charles Bar – a rooftop level cocktail and wine bar with sweeping views of the river, a vast outdoor seating area hosting a variety of Pop-up eateries, which includes the World Famous Beefy Boys, live music and, of course, a Dutch-inspired coffee house previously mentioned and set inside a charming converted coach house with an interior that has Herefordshire old world appeal stamped all over it fused with a minimalist vintage touch. 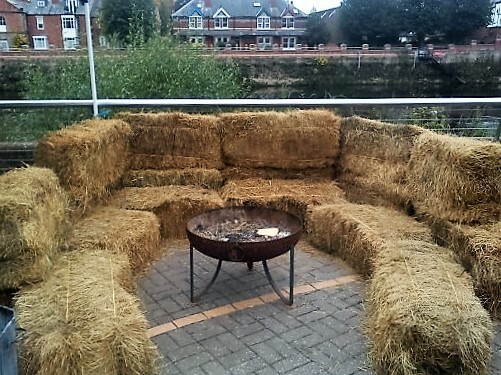 This business venture offers plenty of outdoor and indoor seating, including hay bales, a heated marquis seating area and fire pits ensuring their customers won’t freeze their little toes off; it also boasts a proximity to the River Wye available to few businesses in the City of Hereford. As little as 2 years ago, the Left Bank Village stood empty, looming over the River Wye, a haunting reminder that there are many failed ventures and successes in Hereford’s fragile economy. The brainchild of an ambitious Dutch inventor and entrepreneur, Dr.Albert Heijn – the Left Bank was born. 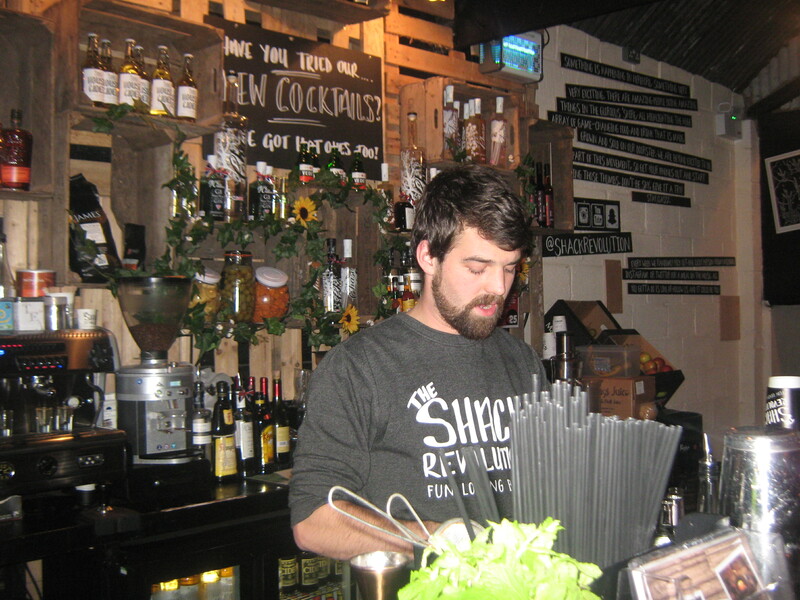 Fortunately, a new set of owners are pumping a new lease of life into the area and creating the regeneration of what Hereford City Centric has adapted into its vocabulary as the River quarter. Enjoy the firepit while laughing and drinking with friends. 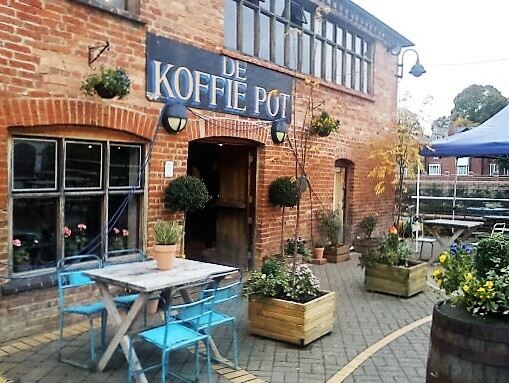 The friendly barista in the De Koffie Pot was enthusiastic and passionate about her place of employment, a theme you will often notice Hereford City Centric give high marks for. I was graciously given a tour of the first level which is currently under refurbishment. They are converting this level into meeting rooms that will feature many inspiring pursuits to look out for such as yoga. No space will be wasted in this unique business venture that Herefordians are keen to enjoy. We appreciate their effort and hard work to make a once forgotten landmark into something great again. Enjoy a cup of tea and some delicious cake after a long day of shopping.